Yes, the season just ended on Sunday and yes, this is probably too early to look ahead to next season. But there’s not much else to talk about. I’ve had a lot of people asking questions about next year’s team, who is staying and who is leaving, how incoming recruits will affect this team, etc. I’m putting together a frequently asked questions list and I’ll be updating it throughout the offseason to address any incoming concerns as things happen. At this point, I’m assuming that the only contributors leaving this team from the 2013-14 season at Tarik Black, Andrew Wiggins and Joel Embiid. If this changes, I’ll adjust the FAQ with notes. FAQ No. 1: What will the starting lineup look like next season? I think this is pretty simple right now. At this moment, I’d say Naadir Tharpe, Wayne Selden, Kelly Oubre, Perry Ellis and Cliff Alexander. Basically, you’re keeping the makeup of your starting lineup the same as last year as Oubre replaces Wiggins and Alexander replaces Embiid. No, Naadir Tharpe isn’t looking his starting role… at least not yet. I think this offseason could do wonder for Conner Frankamp and Frank Mason and they be able to sneak into the starting role as the season goes on. The only way I see Perry Ellis losing his starting role is if Joel Embiid comes back and Bill Self can’t help but start both Alexander and Embiid. FAQ No. 2: Is Joel Embiid staying? I’d give it an 80/20 chance that Joel Embiid is leaving for the NBA. In my opinion, if you’re a lock for a top three pick, there’s no way you should stay. 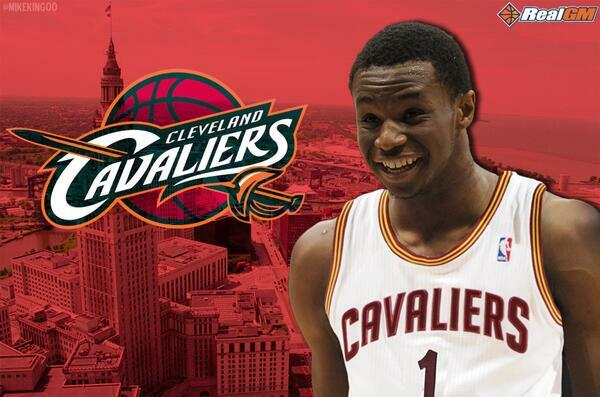 The top three picks are going to be Wiggins, Embiid and Jabari Parker, not necessarily in that order. Like Jay Bilas has said, Embiid could stay and his stock isn’t going to fall… However, his injury concerns could become an issue if he does stay and then re-injures his back. That is why I believe Embiid will leave. His family will want to make sure Joel gets drafted high and will advise him to leave. The 20% of me believes Embiid will stay because he seems to love KU, he believes he can adjust to the NBA better by staying longer in college like Shaq, Tim Duncan, and other great big men have done. Also, he keeps tweeting cryptic messages that make me really believe he does want to stay. But in the end, money talks and I think that pushes him to the Draft. FAQ Question No. 3: Is Wiggins staying? There’s absolutely no way. Yes, I think he kinda wishes he could stay, too… but he’s a top three pick and he’s gotta go. FAQ Question No. 4: Is Wayne Selden staying? Update: March 25: YES. Selden confirms via Twitter he is staying. Yes. He’s not a first round pick right now so he’d be foolish to leave. He has the chance to improve his defense in Bill Self’s system and he could even be the leading scorer on this team next year. Before Wiggins decided he was coming, people believed he’d be KU’s leading scorer. I don’t think Selden is an NBA superstar so I think he can work on his skills and work himself into a lotto pick next year if he can take a big step forward next year. FAQ Question No. 5: If Wiggins, Selden and Embiid stayed, what kind of lineup would we see next year? First off, that team would be favored to win the national title. The starters would be: Tharpe, Selden, Wiggins, Alexander and Embiid. Mason and Frankamp would be the back up point and shooting guards. Oubre and Greene would be Wiggins’ backups. Ellis, Traylor and Lucas would be Alexander’s backups with Hunter Mickelson being Embiid’s backup. Those would be KU’s first nine off the bench. FAQ Question No. 6: Who is Hunter Mickelson? Hunter Mickelson is a 6-foot-10 transfer from Arkansas. You’ve seen him on the bench but he couldn’t play last year. Think of him as the next Jeff Withey… but he could end up being a better contributor. He set the Arkansas freshman block record two seasons ago with 72 blocks but for whatever reason, regressed to 39 blocks his sophomore year. 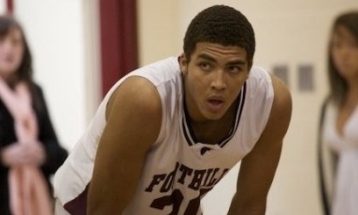 He’s tall, a great defender and the coaches love him. He had as many blocks as Embiid did this season in his freshman year and in over a 100 minutes less playing time. Between him and Cliff Alexander (and hopefully Joel Embiid), KU will have two of the better shot blockers in the Big 12… which KU desperately needed when Embiid was out of the game. With Mickelson and Alexander (and possibly Embiid), they can both play extremely aggressive defense trying to block and alter shots. FAQ Question No. 7: Could someone end up transferring? Yes but I’m not sure it would be the right decision for that player. Your typical names thrown around are Landen Lucas (who already redshirted and will be a sophomore next year), Andrew White and Brannen Greene. Landen Lucas – Since he already redshirted, it would be in his best interest to stay. I like Lucas and I think he can be a great contributor in his junior and senior years if he stays. If he hadn’t already redshirted, I think he’d have transferred already. Andrew White – I was perplexed to see White get so few minutes this year and I think a lot had to do with Brannen Greene being better than Self expected and White getting injured early on. Again, I think it is in his best interest to stay and become sort of a Travis Releford-like player for KU. Brannen Greene – If it weren’t for Wiggins coming to KU, he might have started this year at KU. However, Kelly Oubre is coming in to “replace” Wiggins and will be here two years. I think Greene would rather redshirt than transfer. FAQ Question No. 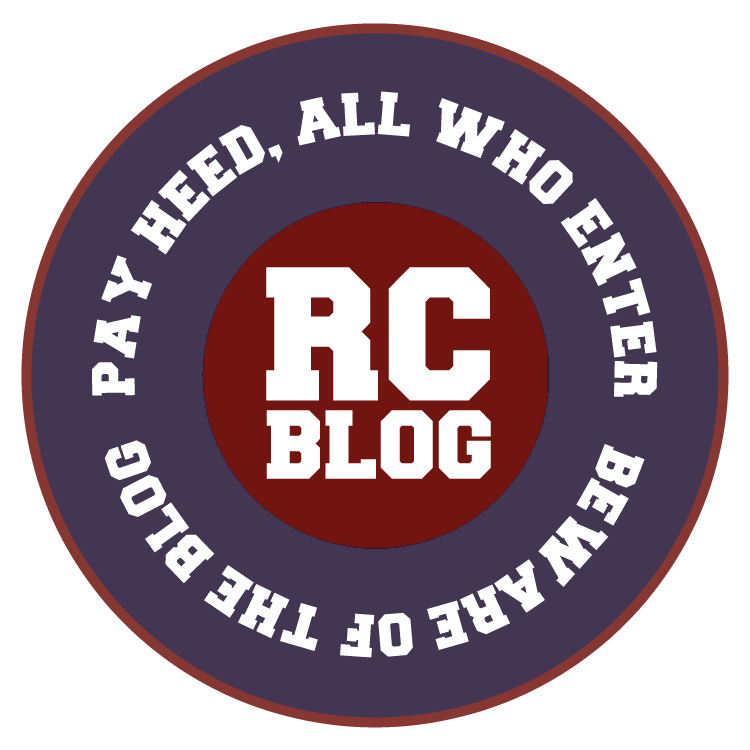 8: Does Bill Self have to start Tharpe because he’s a senior? Yes and no. At the start of the season, Tharpe would be too experienced to not start. Like I said earlier, Tharpe could lose the role if Mason and Frankamp improve in the offseason and prove to be better defensive options. FAQ Question No. 9: Will this team be better at defense? You’d have to think so just because everyone is getting a year older. Wiggins’ defense will be a huge hit and will be missed but Oubre is supposed to be decent at defending. Losing Embiid is a loss, too, but KU is guaranteed to gain Cliff Alexander and Hunter Mickelson, both shot blockers. 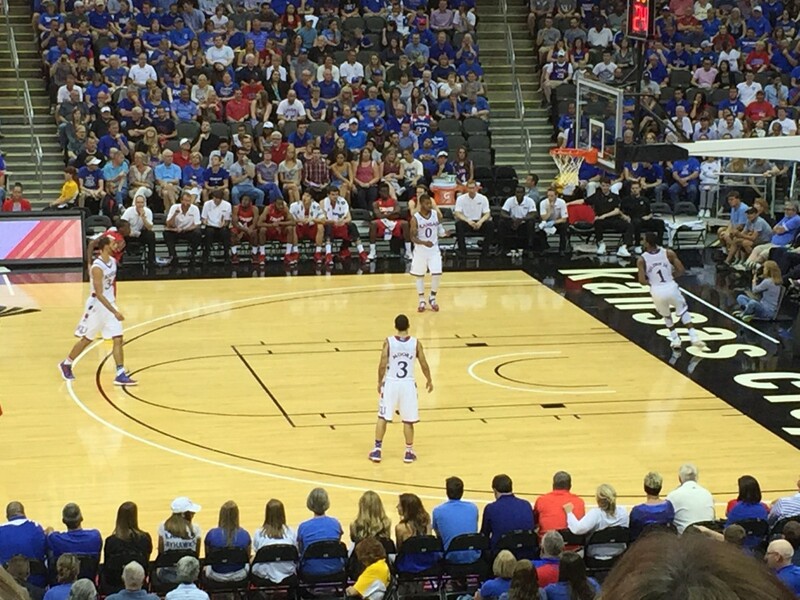 With a team hopefully maturing on defense plus having two shotblockers, I see KU’s defense getting much better. FAQ Question No. 10: Will Bill Self ever land a top PG recruit again? Yes. Self has a lot of guys on his radar for his his next recruiting class. FAQ Question No. 11: What’s KU’s big man rotation for next year, assuming Embiid stays and KU lands Myles Turner? FAQ Question No. 12: Will Tyler Self start next season? With regard to #11, there are rumors that Self supposedly told Myles Turner that if Embiid stays, Turner should probably go elsewhere (Texas?). Have you any updates, or the validity of this rumor? It seems Turner is waiting on JoJo’s decision before he commits. Thanks for your insight. Self said it wouldn’t be worth his time. If Turner really likes Kansas and somehow thinks he can make it work, he’ll come. I don’t think Turner will come if Embiid stays but crazier things have happened. Anyways, that would be the rotation to start, IMO, with a chance for Turner to rise. No other team would have a frontcourt that deep in the country. Thanks! I like “crazier things have happened”! Thoughts on Tharpe pulling a Tyshawn and having a redemptive senior year?